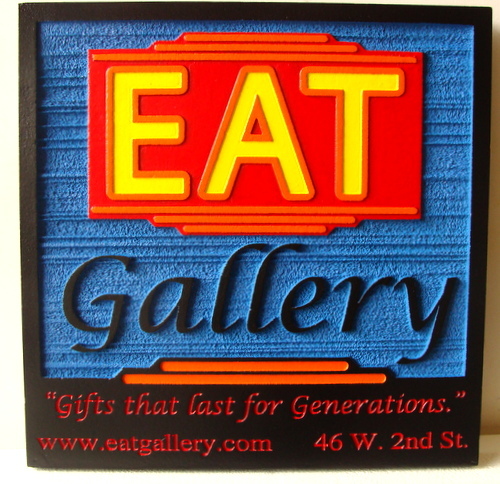 Above is a carved, High Density Urethane sign made for an gift and artist's gallery. The sign has been lightly sandblasted to create a wood grain pattern. This sign has text carved in both raised (two levels) and engraved relief. The sign has been painted with bright long-lasting automotive-grade enamels and clear-coated twice, making it suitable for either indoor or outdoor use.